ABS helps our clients deal with the complex world of Human Resources and Benefits Compliance by offering free access to HR 360. HR 360, Inc. is the premier, award-winning online HR library that provides comprehensive, easy-to-navigate and understand human resource and benefits guidelines, news and information both on a federal and state level. Whether you need a form, poster, the newest information on health care reform laws or state employment laws, HR360 delivers the information, tools and forms you need to stay compliant. HR 360, Inc. also provides a great range of online tools including a job description developer and salary benchmarking tool to help you manage your HR needs. Our professional teams of attorneys, HR specialists, editors and advisors, have over 10 years of experience in developing and maintaining award-winning online HR and benefits content, guidelines and forms for over companies nationwide. Our interactive guides provide easy, step-by-step guidance on how to comply with a broad range of HR and benefits needs from COBRA and FMLA to how to interview, hire and terminate employees. Whether you have 5 employees or 500—we provide the guidelines that will help you comply with the laws written in plain English so it’s easy to understand. In mid-November, the Internal Revenue Service (IRS) issued Notice 2016-70, which extends the due date by 30 days for furnishing forms under Sections 6055 and 6056 for 2016 and extends good-faith transition relief from penalties related to 2016 Section 6055 and 6056 reporting. The IRS does not anticipate extending the deadlines or transition relief from penalties to reporting for 2017. What Is Good-faith Transition Relief? In determining good faith, the IRS will take into account whether a reporting entity made reasonable efforts to prepare for reporting the required information to the IRS and furnishing it to individuals (such as gathering and transmitting the necessary data to an agent to prepare the data for submission to the IRS or testing its ability to transmit information to the IRS). President-elect Donald Trump will be inaugurated on Jan. 20, 2017. In a video address published in late November, Trump released a plan for his first 100 days in office. the first 100 days of his presidency. Instead, his plan is focused on issues that include proposals related to immigration, defense policies and trade deals. Advanced Benefit Strategies will continue to monitor the presidential transition and any changes that will be made, and provide updates as necessary. Give your poster wall a thorough check-up. Make sure all of your workplace posters are up-to-date and the correct size. 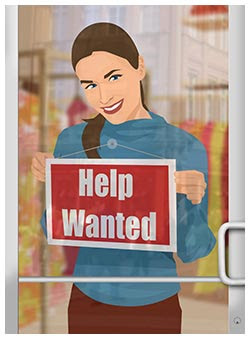 Check with your state labor department for any industry-specific poster requirements that may apply to your business. Note that certain localities may also have posting requirements. Stay on top of notice requirements. From summary plan descriptions (SPDs), to COBRA- and FMLA-related notices, employers are required under various laws to provide employees with certain information about their benefits and responsibilities. Confirm that your employee communications are accurate, consistent, and in compliance with applicable law. Keep up with recordkeeping. 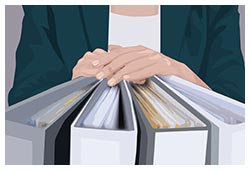 In addition to being a good business practice, employers are required to maintain certain types of employee records in order to comply with applicable law. Verify that your recordkeeping procedures address any requirements related to confidentiality and how long to keep records. Review policies and procedures. Be sure your company policies and procedures comply with applicable labor laws related to employee leave, equal employment opportunity, sexual harassment, worker safety, and other requirements. Confirm that your workers are classified properly. Misclassifying employees as independent contractors can result in costly legal consequences. Also remember that an employee’s exempt or nonexempt status is based on his or her compensation and specific job duties. It’s a good idea to review job descriptions on a regular basis (at least annually) as well, as tasks and requirements may change. However, neither job titles nor job descriptions determine the exempt or nonexempt status of an employee. Our HR Compliance Quick-Check includes more tips for staying on track with compliance this year. 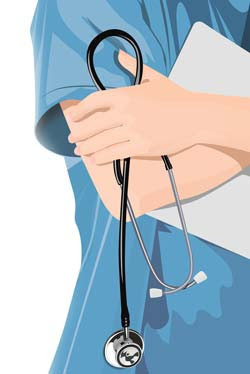 A new law allows certain small employers–those with fewer than 50 full-time equivalent employees who do not offer a group health plan–to offer new “qualified small employer health reimbursement arrangements” to reimburse employees for qualified medical expenses, including individual health insurance premiums, for years after December 31, 2016. The law also includes a notice requirement for these new HRAs. Note: Large employers and employers who offer a group health plan are not eligible to offer qualified small employer HRAs. Effective for years beginning after December 31, 2016, the notice generally must be provided no later than 90 days before the beginning of the year in which the HRA is funded–or, if an employee is not eligible to participate in the arrangement as of the beginning of such year, the date on which the employee is first eligible. 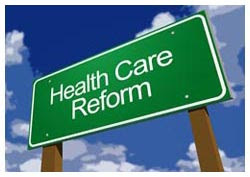 Check out our section on Health Reimbursement Arrangements (HRAs) for more. The Internal Revenue Service (IRS) has announced that tax season will begin Monday, January 23, 2017. The filing deadline to submit 2016 tax returns is Tuesday, April 18, 2017. The filing deadline to submit 2016 tax returns is Tuesday, April 18, 2017, rather than the traditional April 15date, as a result of a weekend and a District of Columbia holiday. Visit our section on Employer Tax Laws for more on employer taxes.